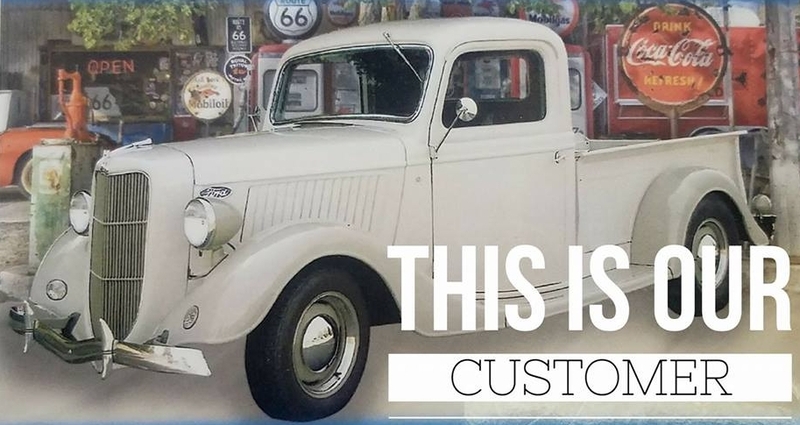 Elkhorn Driveshaft Company has been Family Owned and Operated since 1912. We may have changed our name over the years, but our mission has remained the same. 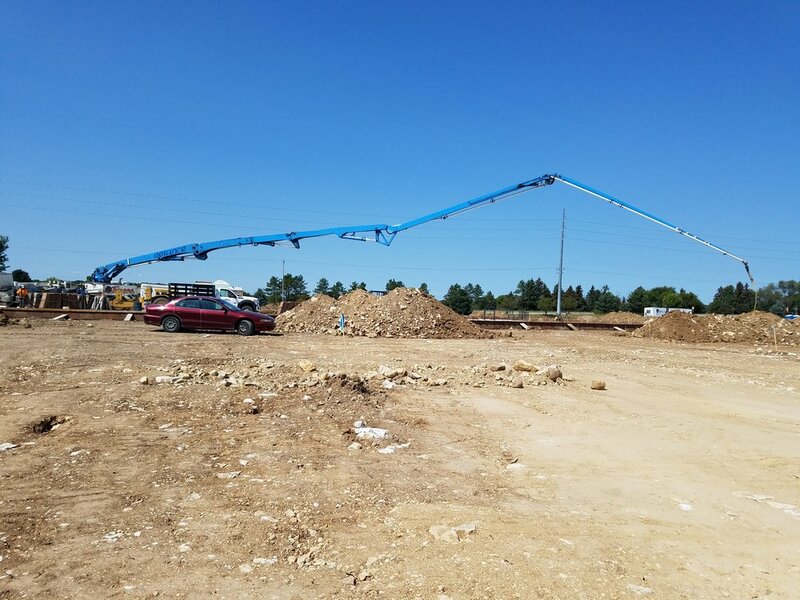 We strive to provide Industry Leading Driveline Solutions, and the best service possible to all of our customers. 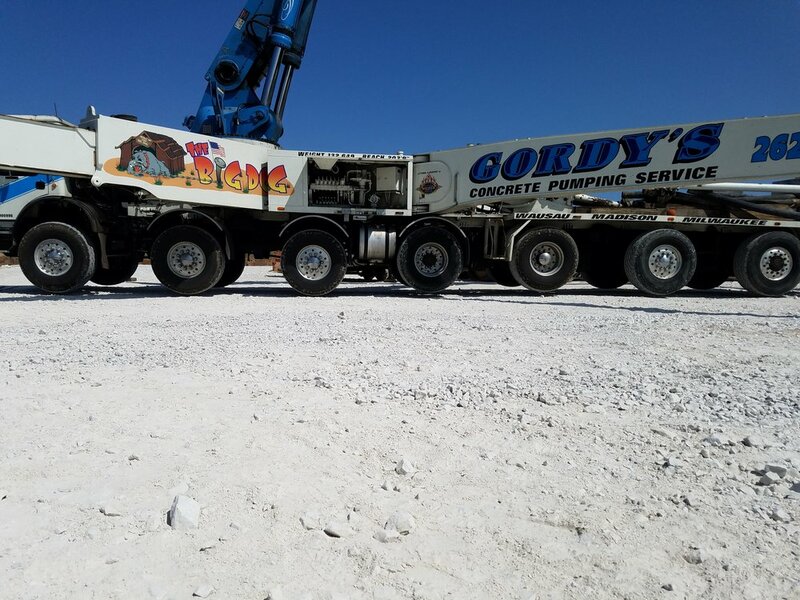 Come see how we will do our best to get you back to work as quickly as possible! Is your business in Walworth county? Call us about pick up and delivery service! Not in Walworth county? Give us a call and we'll do our best to accommodate you! Our Experienced Technicians at Elkhorn Driveshaft Company are working hard to get you back to work! Twisted Tube? Broken yoke? Not a problem! Come on down and we'll work hard to get your driveshaft fixed and get you back on the road as quickly as possible! Modifying a vehicle? Wanting to Move from a 2 piece to 1 piece shaft? Been told that your U- Joints are non replaceable? Not a problem! Elkhorn Driveshaft will work to design you a custom shaft to fit specifically your application. No project is too big or too small or too unique for us to tackle. Rebuild and Replacement of Double Cardan and High Speed CVs. Call today for a quote! Need a standard slip yoke, companion flange, U - joint? Come on in and see if we have the components you need in stock to finish your project. If not, we'll work to find what you need and get it here as soon as possible. Need a Guard for your PTO, or maybe an industrial pumping application? We'll work to get you set up with standard guards we stock in house. If that wont work for your application we'll design and build custom guards to meet your needs. We stock all major series of both Round Bearing and Wing Bearing U - Joints, and our experienced technicians can easily replace your U - Joints for you! Driveshaft to long or to short? Need a conversion joint? Not a problem. 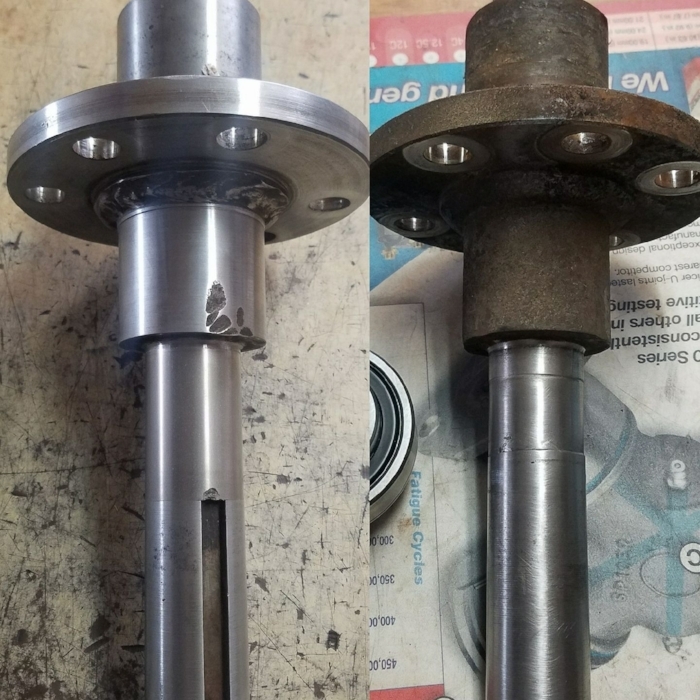 We'll quickly modify your driveshaft to fit your specific needs while working to use the components you already have to save you both time and money! The #1 cause for vibration due to a driveshaft is the straightness of that driveshaft. 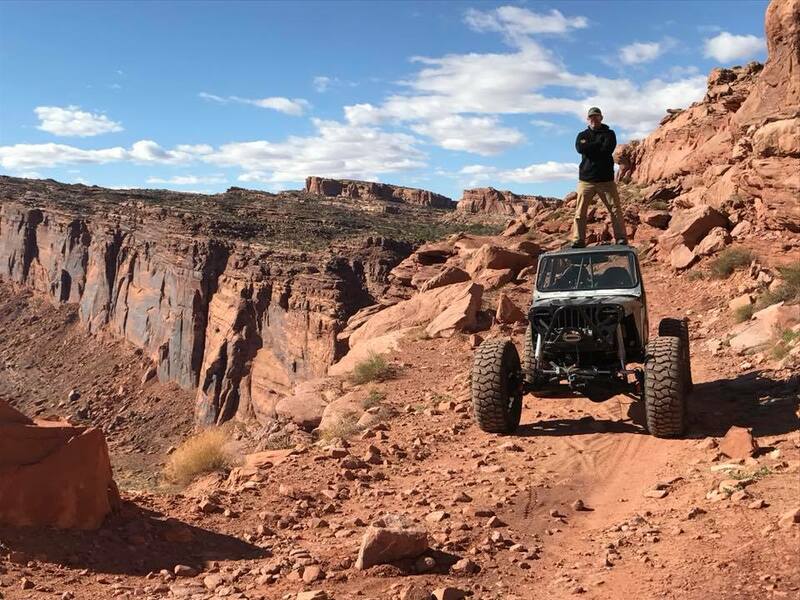 That's why our technicians at Elkhorn Driveshaft strive to maintain the tightest tolerances in Total Indicated Runout of our shaft. And when the Balance of the shaft is critical to your application, our computer balancer is ready to balance your driveshaft to strict ISO standards. Is your bearing surface worn out? Have you been told you need to buy a whole new shaft for well over $1000? Let us refurbish you worn out bearing surface with a Ceramic or Metal spray making it as strong as the original shaft. Best part is it's only a fraction of the cost of a new shaft. Bring your shaft in for a quote today! Make sure and visit our online store to order in stock rebuilt and new driveshafts, universal joints, yokes, and more! Before and After our Metal and/ or Ceramic Spray Technology!